VDRM (Peak Off-state Voltage) : Maximum voltage that can be applied while maintaining OFF state. 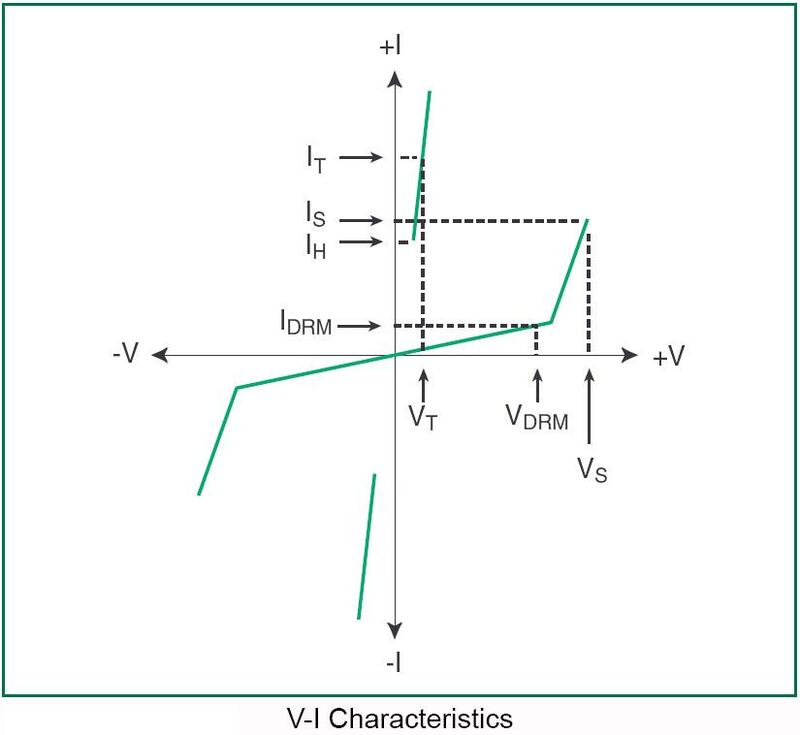 IDRM (Leakage Current) : Maximum peak OFF-state current measured at VDRM (Peak OFF-state Voltage). VS (Switching Voltage) : Maximum voltage prior to switching to ON state. IS MAX (Switching Current) : Maximum current required to switch to ON state. 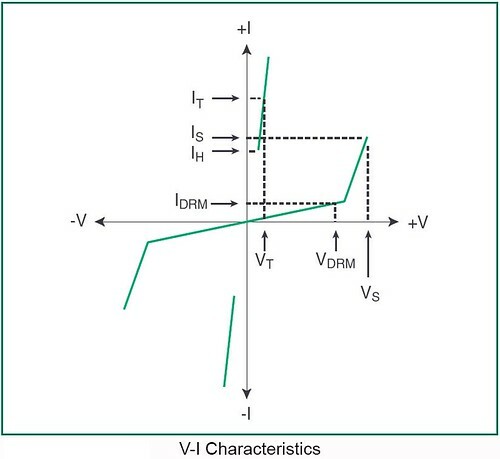 VT MAX (ON state Voltage) : Maximum voltage measured at rated ON state current. IH MIN (Holding Current) : Minimum current required to maintain ON state. CO MIN (Minimum OFF-state Capacitance) : Minimum capacitance measured in OFF state. CO MAX (Maximum OFF-state Capacitance) : Maximum capacitance measured in OFF state. IPP (Peak Pulse Current) : Maximum rated peak impulse current. ITSM (Peak One-cycle Surge Current) : Maximum rated one-cycle AC current. di/dt MAX (Rate of Rise of Current) : Maximum rated value of the acceptable rate of rise in current over time.